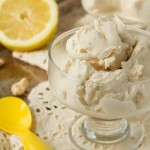 Vegan lemon ice cream with a healthy dose of magnesium and shaves of fresh lemon zest. Add the cashews, water and Natural Calm to the jug of your high powered blender. If you do not have a high powered blender, it’s best to soak the cashews before using them in this recipe. To soak, add cashews to a bowl and cover with water. Allow to sit in the water for 12 hours before draining, rinsing and using in this recipe. Blend mixture until smooth, about 2 minutes. Add honey, then lemon juice and continue running for 20 more seconds, until everything is mixed. Drop in lemon zest, whiz lightly. Ice cream maker version: transfer mixture into a bowl. Cover and chill for 12 hours. Then, use in your ice cream maker, according to it’s directions. Freezer method: separate mixture into 4 bowls and place in the freezer for a total of 3 hours. 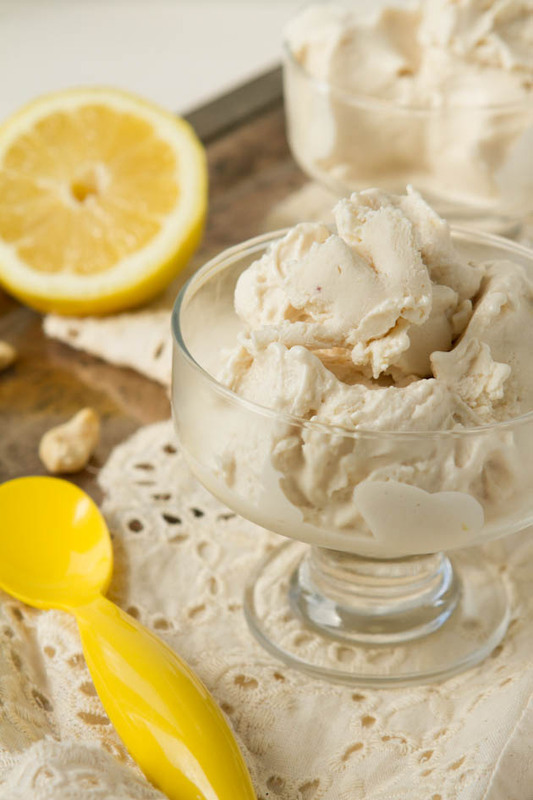 Remove bowls from the freezer every 30-45 minutes to whisk everything together and prevent the mixture from clumping.